I think all of them are following me, too.... help! That first goal came quickly, in the 11th minute. Ninkovic scored to make it 1-0 Genoa. And the pitchforks were sharpened, with social media users missing the actual game so they could point out who made errors in that goal. Two Twitter favorites, no less, got all of the blame. 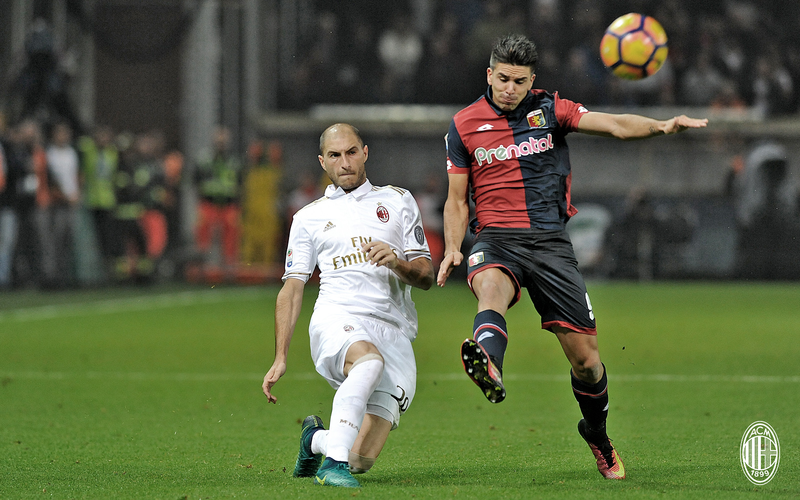 And the pitchforks were brandishing throughout the half, despite missed chances from Romagnoli, Bonaventura, and Niang to say the least. You know, because they are not on the list of players that fans hate. Saturday: a great defensive partner with Romagnoli. Today:?? So Bacca, who looked tired & was taking a beating, was sacrificed for Gomez in the 58th. I didn’t even know pitchforks could be sharpened so often. Then Adriano came on for Honda in the 62nd, clearly proving that the latter was all of the things he was being called on social media (versus more of a tactical move on Montella’s part, keeping in line with his typical way of subbing.) 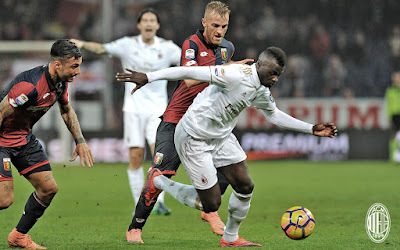 Miraculously using all three subs by the 70th minute, Montella brought Suso on for Niang, perhaps hoping the ex-Genoa player could create something against his former team. He played so well when he came on (but didn't get a goal.) Why didn't he start? The problem with this defeat is that it was so resounding, and there were so many players involved in the losing part of it that Milan fans on social media simply don’t have enough pitchforks. “Let’s criticize Montella’s lineups,” they say. What is to criticize? Playing a second game in three days, he judged both the fitness and skillsets of certain players and made two changes. Two changes?! Allegri made two changes to his starting lineups before breakfast. Especially when we played every three days. 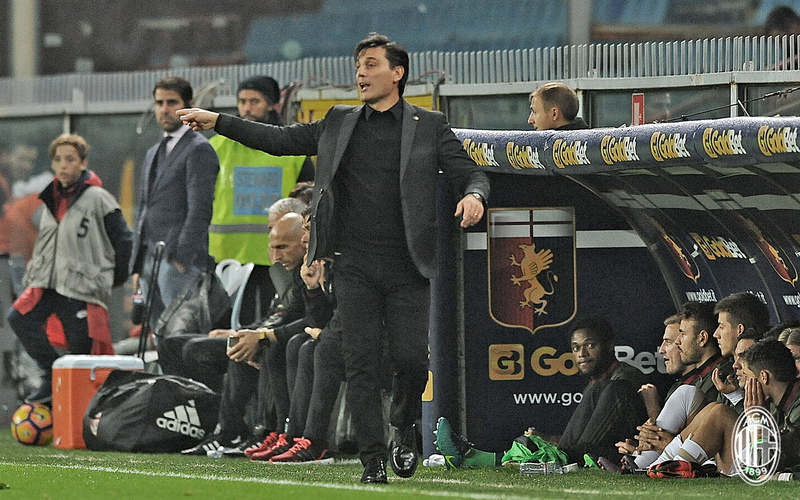 In hindsight, Montella defended his choices, and he should. Those two choices did not lose the game. The team as a collective lost the game. Which is one of the problems I have with the pitchforks. I mean, sure, we are Diavoli. But when a team wins, it is a collective win, as well. When mistakes are made, the other players have to compensate. This social media mentality of singling out players one way or the other is where being a fan gets mixed up with becoming a monster. I have written about the various phenomena relating to social media before, but the problem continues to grow and impacts not only other fans, but the team as well. Gets in a car accident (not driving): Bad. Playing but failing to score tonight: ?? This game could have been predicted by anyone who stepped away from social media for a moment and looked at the season collectively. Milan have not been playing well. They have been playing more cohesively as a team and playing with more grinta, but they’ve been pretty light on actual tactics. We’ve had so many lucky things go our way, including ref calls. Imagine if Saturday’s call on Pjanic’s free kick had gone the other way? We would have been lucky to get a point. This Genoa team tonight were fired up from their Derby loss, and playing at home in one of the toughest stadiums in Italy. They had more gas in the tank, and were more clinical, with three of their six shots on target. Milan fired more, with 13 shots total, but only three were on target. Juric also made to changes to his starting lineup, and one of them scored the opening goal. And Banti let a lot of things go, but that’s not a bad thing in a ref. It made for a more high tempo match with plenty of excitement. This team is not unstoppable. They are young and growing and sometimes a bit rash. Sometimes that pays off for us, sometimes it penalizes us. They are a team still coming together after so much change, and a team with more change on the horizon. We were not poised to be in the position we were in, and those people in the media or on social media should not have created such crazy expectations. Or wield their pitchforks outward when those expectations fall short. Besides, a loss like this can actually be a good thing. 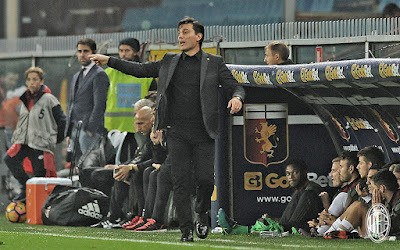 As Montella said postmatch, “At times a defeat can help you grow more than a victory.” (via football-italia.net) I absolutely agree with that. And I hope it applies to the fans as well. Gave belief and results: Good. Lost a game: Must be sacked!! So the fair weather fans won’t be reading this, as they left midgame, some when it was only 1-0. But I hope that some people will put their pitchforks down and remember how it is to just be a fan. That old cliché “sometimes you win, sometimes you lose” is a better mantra than destroying your team’s player(s) on social media. And if being a decent human being isn’t enough inspiration for you, just remember, that even the most hated players become heroes at some point, and you will look the fool for mocking them. It’s much better to tell everyone that you support AC Milan – for better or for worse, no matter who plays well or poorly. Of course, we’ll all be frustrated at times, and hopefully surprised at times with individual players and their performances. But if you put the torches and pitchforks down, you’ll be able to practice all of those Italian hand gestures you’re learning. 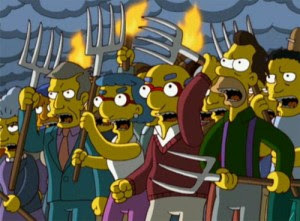 Wouldn’t it be nice if we all just put down the pitchforks and simply enjoyed the game again?